LONDON -- Arsene Wenger hopes the strength and physicality that new signing Sead Kolasinac brings to the team will set the tone for both his teammates and the Emirates crowd this season. Kolasinac has made a flying start to life at Arsenal, scoring in the Community Shield and setting up a goal for Danny Welbeck in the opening Premier League win over Leicester. But the bulky defender's biggest impact may be the muscle he brings to a team that's often been accused of being too soft for the Premier League. Wenger said the Bosnia international "may be the strongest" player he's ever managed -- and the Arsenal boss has already noted how much fans appreciate Kolasinac's resolute tackles and challenges. "There is something there, and you feel that from the crowd. The determined attitude gets to the crowd and the crowd responds to that, and that gives a swing to the team. You can see that with him and when he intervenes he provokes happiness," Wenger said. "He uses quite well the strength of his body without violence and when he intervenes it doesn't look to be a foul, he just uses his body strength. It is an important quality to help adapt to the Premier League." Wenger admitted that picking up Kolasinac on a free transfer from Schalke this summer was "a nice bargain" in a transfer window where Manchester City have spent upward of £130 million on full-backs alone. Kolasinac was identified by the club's scouts as a possible target, and Wenger said he met with the player to gauge his attitude before making him an offer. Sead Kolasinac's strength has been hailed by Arsene Wenger and his teammates. "I think it was a good opportunity in Germany because we knew he was at the end of his contract," Wenger said. "Watching him, I thought he had the quality. I met him and he had a good spirit and a good attitude so basically overall it was a no-brainer for us." The added steel that Kolasinac brings could be extra helpful on Saturday when Arsenal travel to Stoke, a fixture they've often struggled in recently. 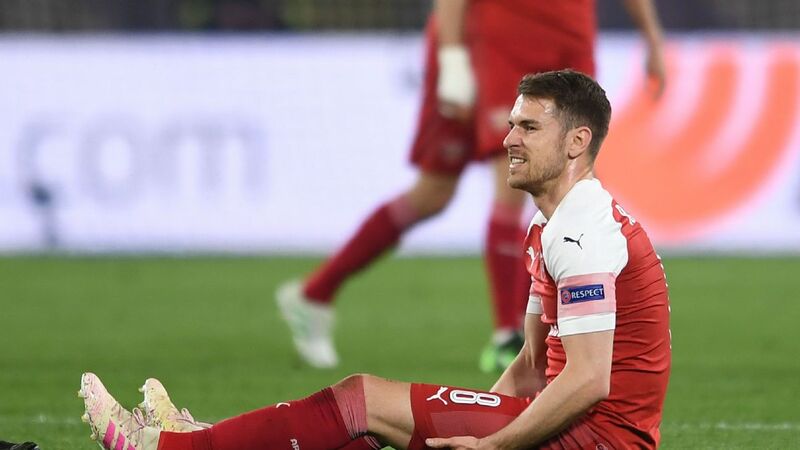 With Per Mertesacker and Shkodran Mustafi fit and available again, he could be deployed as a wing-back at the Britannia after playing in the back three in the first two games because of a lack of available centre-backs. 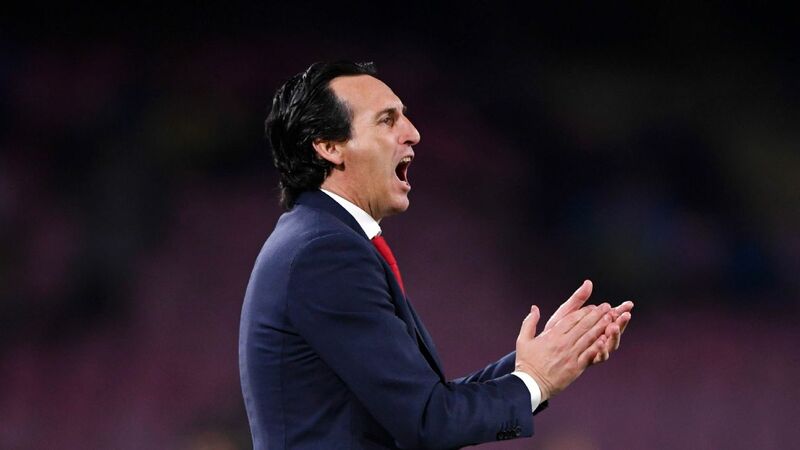 That didn't stop him from joining in the attack at times, and Wenger said his runs forward will be an added strength for the team this season. "He has the capacity to repeat runs and we noticed when we watched him play that he is quite dangerous in the final third. He already has some assists since he came here so overall maybe he is not a glamorous dribbler but the quality of his runs are very efficient," Wenger said. While Kolasinac has made a seamless transition to the Premier League so far, the player himself said he's still struggling with one aspect of life in England: the language. Kolasinac, who grew up in Germany, said his English is "better but not perfect" and that understanding some of his new teammates can be "really, really difficult." "When I listen to the English players, like when Oxlade-Chamberlain talks to Danny [Welbeck], I need to listen twice because it's so quick and it's hard through the accent," Kolasinac told the Arsenal website. "But I've got time to learn it and I will do that. Everyone has welcomed me so well and speak a lot of English with me to help me learn the language. I'm pleased that I get on so well with everyone."